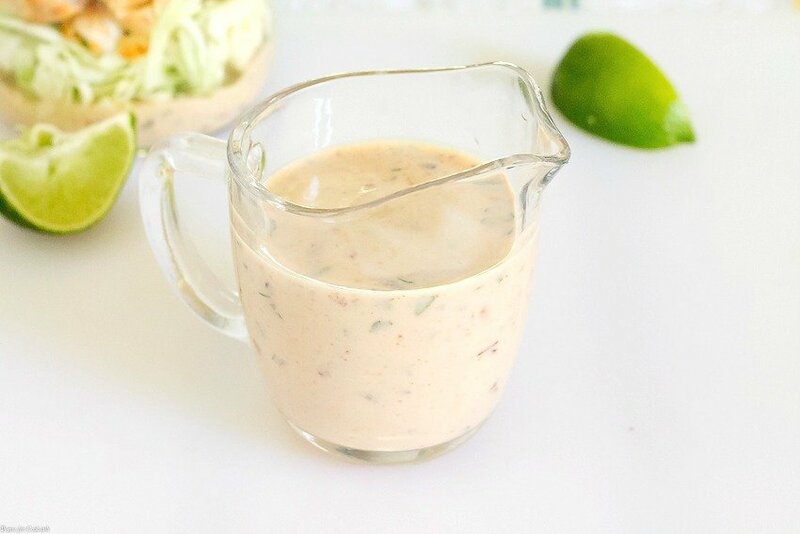 This Creamy Chipotle Lime Dressing is the perfect south of the border substitute for boring old ranch dressing. Greek yogurt is jazzed up with tangy lime juice, spicy chipotle peppers and cilantro. 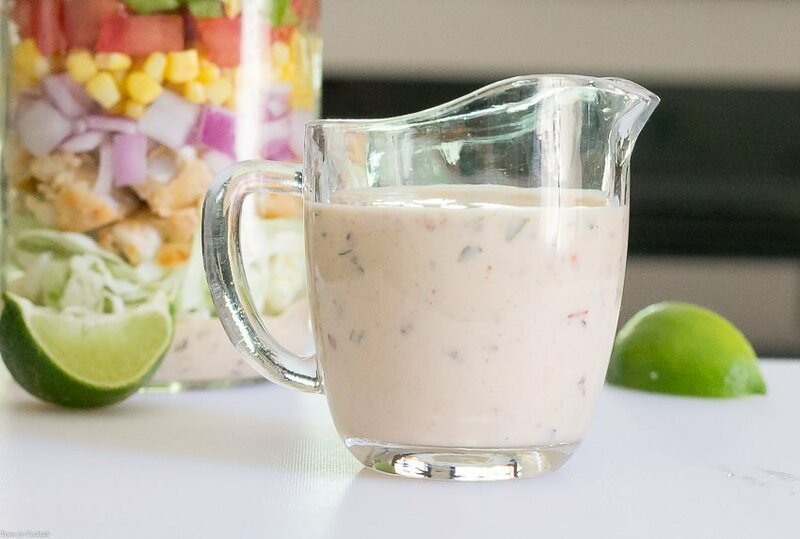 I feel like there are a million different scratch-made salad dressings and vinaigrettes I can dream up based around a few casa pantry staples. There are always limes, cilantro, honey, cumin, oregano and chipotle peppers in adobe sauce in the casa kitchen. 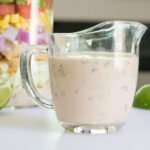 [bctt tweet=”Creamy Chipotle Lime Dressing #spicy #scratchmade #salad #dressing” username=”thyme4cocktails”] Just imagine all the dreamy concoctions you can make with these simple ingredients. 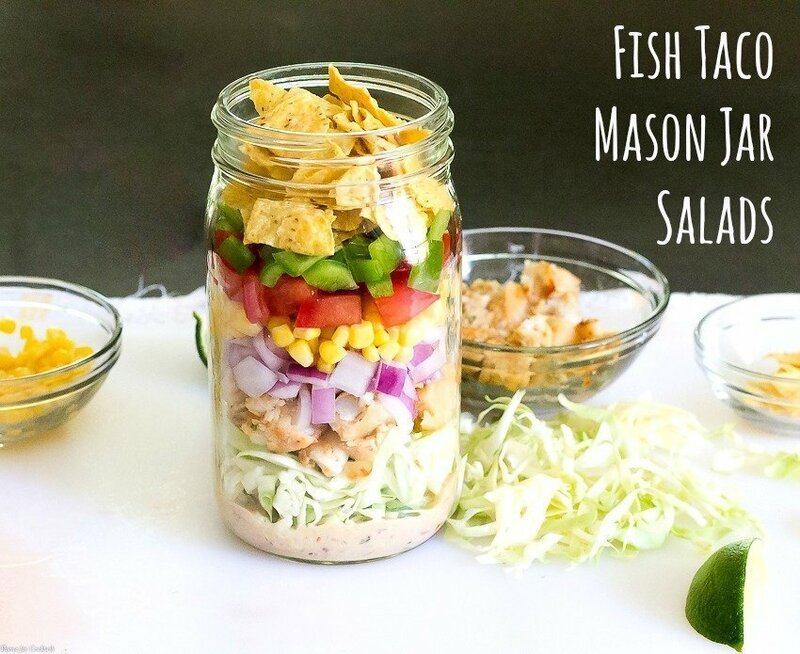 Like this Creamy Chipotle Lime Dressing which is amazing in my Fish Taco Mason Jar Salads. 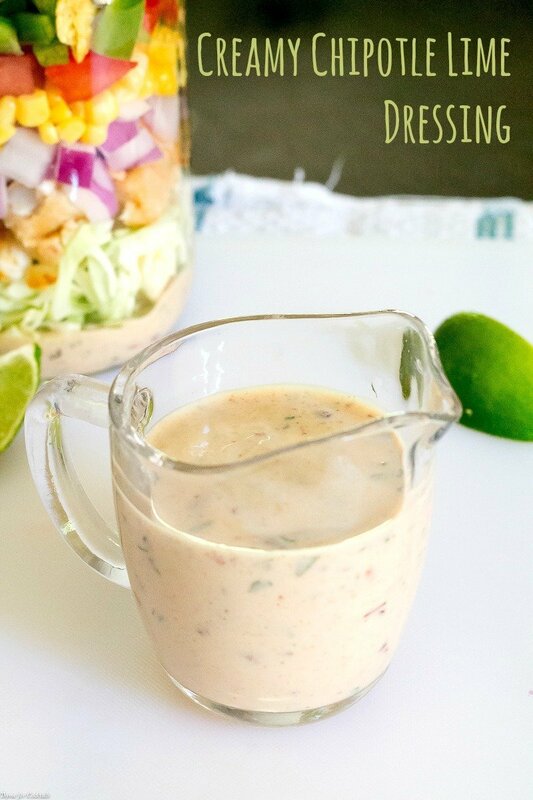 And then there’s my Honey Lime Vinaigrette or Creamy Honey Lime Dressing. The Ancho Chile Vinaigrette we had recently is pretty great too! See there are just so many different flavor combos you can try. Add sour cream or Greek yogurt for creaminess. Flavored oils are also an excellent way to enhance and add more oomph to your dressings. Add all ingredients to a lidded jar. Close lid, shake vigorously to combine. Use immediately or store in the refrigerator in an airtight container for up to two weeks. If refrigerating, shake thoroughly before using.